Chittenango Creek, located in Madison and Onondaga counties, runs from Nelson Swamp (north of the village of Cazenovia) to Oneida Lake. 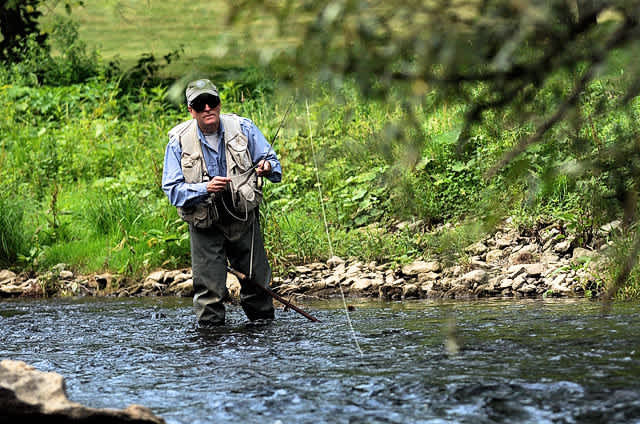 Chittenango Creek is one of the more popular trout fishing streams in Central New York. 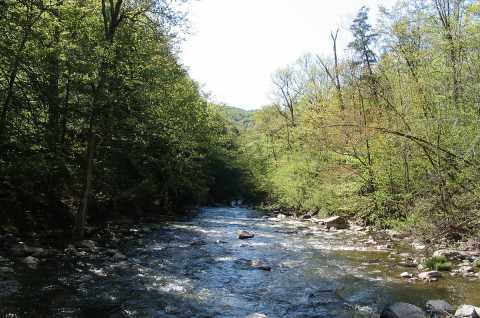 There are 4.8 miles of Public Fishing Rights (PFR) along this medium sized, partially open and swift flowing stream. Besides being a prime trout stream, it is also a very scenic waterway with a large 167 foot waterfall located in Chittenango Falls State Park. No fishing allowed on a small section of stream directly above the falls for safety reasons (park regulation). Downstream of the falls fishing is permitted in the Park, so you can catch trout and view this spectacular falls at the same time. Public Access There are 4.8 miles of PFR along Chittenango Creek. There are four PFR parking areas along the stream and numerous unofficial pulloff's as the stream borders Route 13 from Cazenovia to Chittenango. Parking Areas •	Route 13 parking area. 2.25 miles south of Cazenovia on Route 13. Parking for 4 cars. •	Route 13 parking area. 3.5 miles north of Cazenovia on Route 13. Parking for 10 cars. •	Emhoff Road parking area. 4.5 miles north of Cazenovia on Route 13 to Carey Hill Road, turn right onto Emhoff Road. Parking for 4 cars. •	Olmstead Road parking area. 2.5 miles south of Chittenango on Route 13 take right onto Olmstead Road. Parking for 3 cars. There is a universally accessable fishing platform in the Village of Chittenango that was created in 2009 by the Madison County Trout Unlimited Chapter. A trail head kiosk and parking area are located in the village of Chittenango just west of the junction of Route 5 and 13. Fish Species Brown trout, brook trout, white sucker, walleye, and smallmouth bass.The main gamefish found in the upper section of stream are stocked and wild brown trout and the occasional wild brook trout. As you get closer to Oneida Lake, the lower section begins to have some warm water species like walleye, smallmouth bass and panfish. 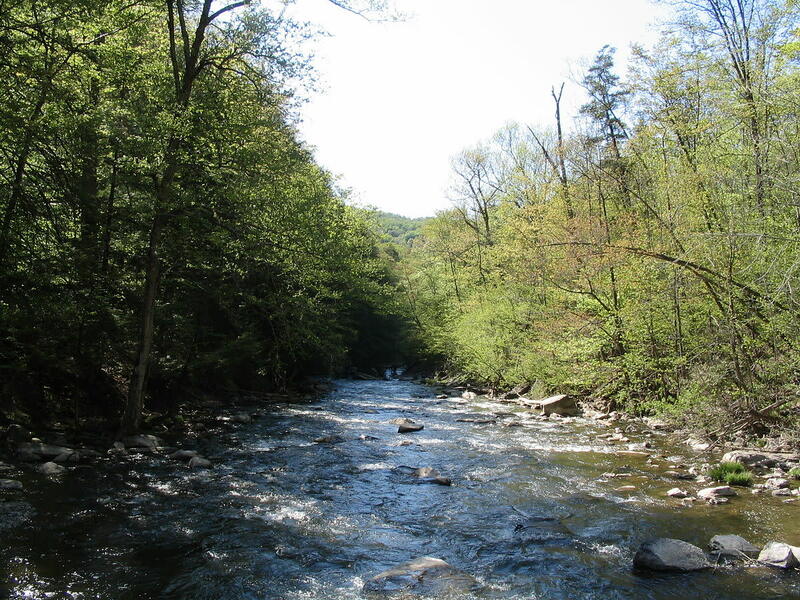 Most of the fishing pressure takes place on the stream during early spring shortly after the trout are stocked. Much of the stream is open to fishing year-round, so anglers have the option of fishing during the winter and early spring. When fishing during these cold water periods, concentrate on the deeper holes, fish slowly, and keep baits near bottom. Sometimes fishing during the mid-day period when things have had a chance to warm up also helps.